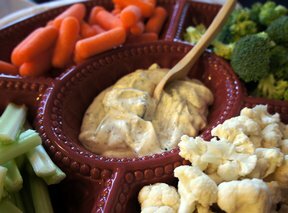 A vegetable dip that is so easy to make you'll never want to buy it at the market again. Creamy and delicious, the Beau Monde seasoning is the secret weapon. Mix all ingredients together and let chill for 2-3 hours. Serve with carrots, broccoli, cucumbers or any vegetables of choice. 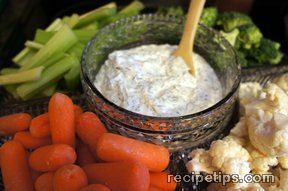 "I am not sure what is in the Beaue Monde seasoning but it makes this dip so tasty. 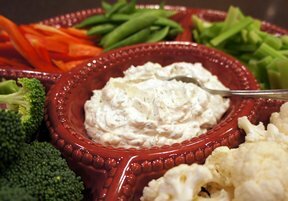 Cauliflower was my favorite dipper, but my husband liked Chicken in a Bisket with it."